Preheat the oven, tune into that non-stop Christmas hits radio station and don your apron – it’s time for some festive baking and pudding prep! Here are our favourite recipes for the season that are guaranteed to get you into the Christmas spirit. It’s Christmas! And what better way to usher in the festive season than with some time spent in the kitchen whipping up some seasonal treats. It’s a great time of year to get the family involved – particularly useful if you’re wondering how to keep the kids entertained during the holidays – and, best of all, many of the more traditional recipes are simple to put together. Treats like mince pies, steamed puddings and spiced biscuits are such an important part of festive feasting, and while they’re all available to buy in the shops ready-to-eat, none of them can hold a candle to something that’s been made with love and care from scratch. Whether you’re looking for something to give guests throughout December or want something showstopping to bring to the table on Christmas Day itself, the following recipes are some of our favourite things to prepare during this joyful time of year. 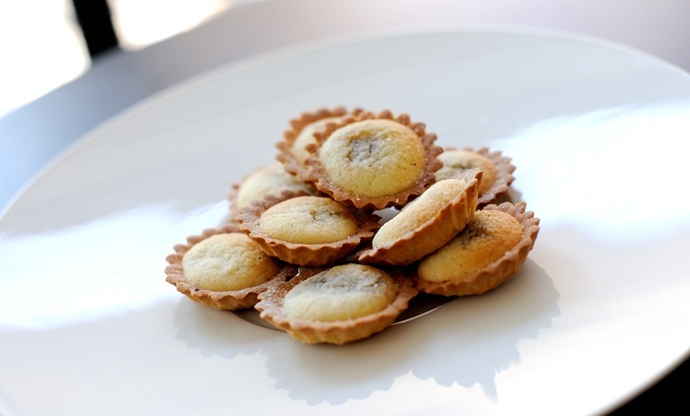 A Christmas without mince pies simply isn’t Christmas, and while there are whole aisles dedicated to the ready-made variety in the supermarkets, nothing quite beats one you’ve made yourself. But with so many recipes claiming to be the best-ever, it can be hard to know where to start. That’s why we’re leaving you in the very capable hands of Michelin-starred chef Shay Cooper, who gives the classic a little update with a financier batter full of rich ground almonds. Buy good-quality mincemeat or make your own, whip up the simple pastry, assemble the pies and sit back as the oven emanates the heady aromas of Christmas as they bake. If you’ve got family coming round for Christmas and want the children to do something more wholesome than stay glued to their phones or the TV, a big biscuit baking session is perfect (plus, there’ll be something tasty to eat at the end of it). 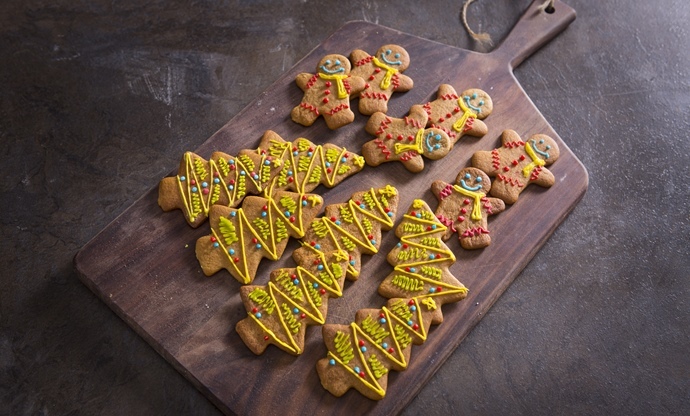 These ginger-flavoured treats from Sally Abé don’t just look the part – they’re also easy to make and taste quintessentially festive. With just nine ingredients mixed together to form a dough before being rolled out, cut into shape and baked, these kid-friendly biscuits mean everyone can get involved in the kitchen. Sweet steamed puddings aren't a common sight outside Christmas, which is why unveiling one at the table feels like such a seasonal occasion. 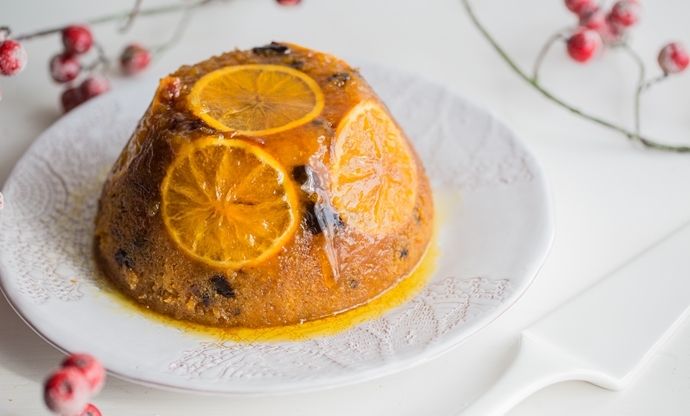 This fine example offers something a little lighter than the traditional figgy pudding, eschewing the dense, doughy texture for a lighter syrup-soaked sponge flavoured with orange, cinnamon, nutmeg and cloves. The prunes and dates result in a beautifully moist finish, and it requires very little active cooking time – perfect when you’ve got a whole host of other kitchen tasks to attend to. 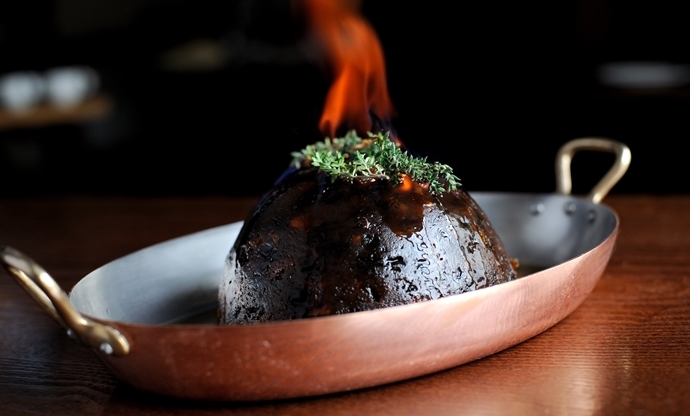 Sometimes only the classics will do, and no matter how many updates, alterations or twists you put on a Christmas pudding, they can never beat the original. Dominic Chapman’s glorious recipe contains all those traditional festive flavours – dried fruit, mixed spice, a good glug of booze and toffee-like brown sugar – as well as a generous dollop of brandy butter on the side. 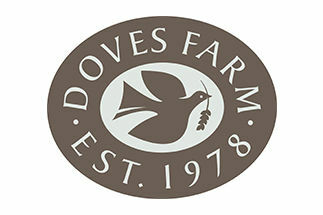 Compared to ready-made Christmas puddings you can buy in the shops, it’s in a totally different league; just be sure to make it a week in advance to allow the flavours to develop. Whether you’re a vegan or catering for someone who doesn’t eat meat or dairy at the dinner table this Christmas, don’t assume all those rich, indulgent festive desserts are off the menu. 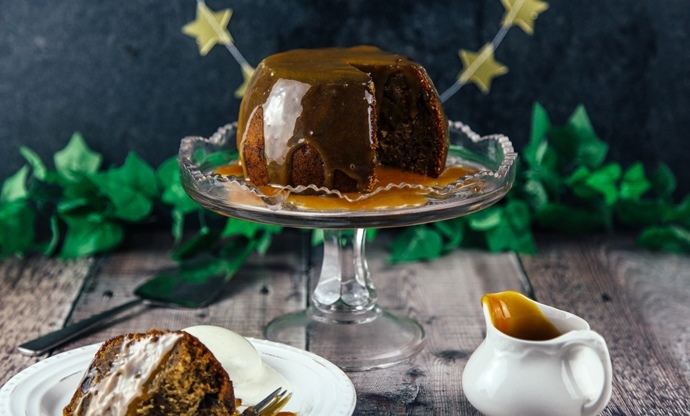 This vegan version of sticky toffee pudding is given a seasonal twist thanks to the ground cinnamon, ginger and mixed spice in the batter, while the simple toffee sauce is made with vegan butter for drizzling over the top. Even the most carnivorous, dairy-loving people around the dinner table will be going back for seconds. Fancy a bit of baking but don’t have much of a sweet tooth? Then these shortbreads from Alyn Williams are the answer. 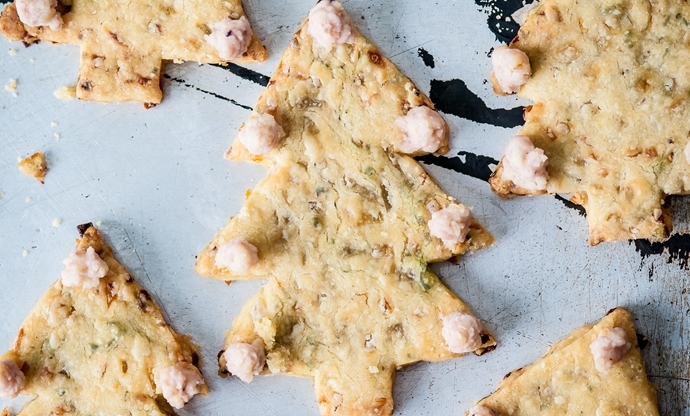 Made just like their sweet counterparts (but with less sugar, naturally) these little baked trees boast a classic festive flavour thanks to that beloved combination of sage and onion. Once they’re baked, decorate them with little piped dots of cranberry-flavoured cream cheese and watch them get snapped up in an instant. 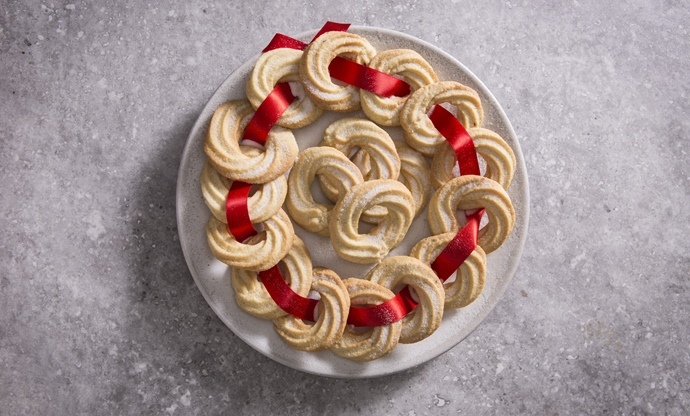 In Scandinavia, baking at Christmas is serious business, and these wreaths of buttery biscuits are a regular sight in the run-up to the big day. 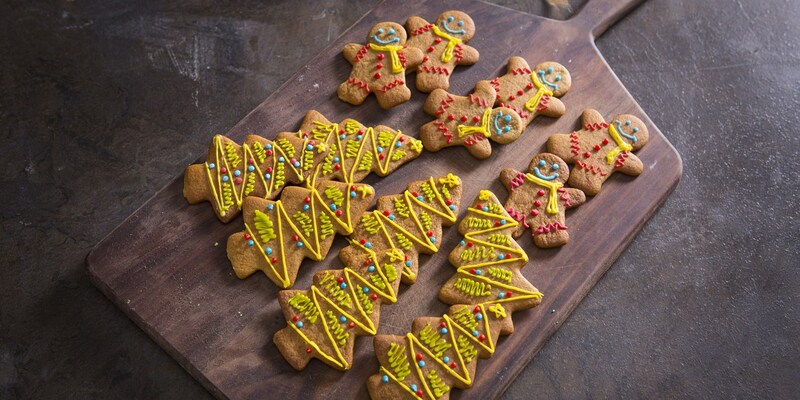 Another exceedingly simple recipe that requires just six store cupboard ingredients, the pretty finish is achieved by piping the mixture with a star nozzle, before baking and tying each biscuit together with ribbon.